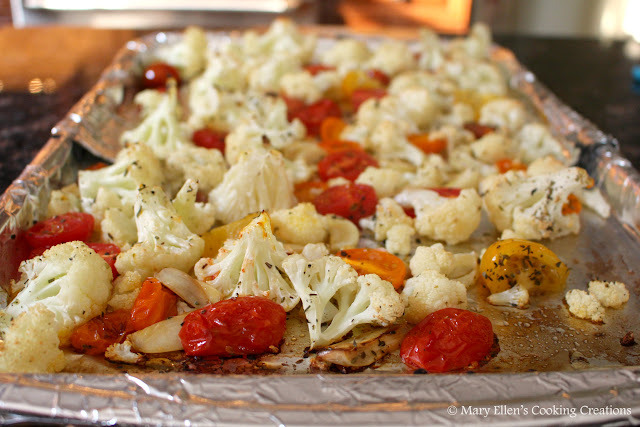 Every time I make roasted cauliflower my husband always comments how plain our plates look. It's true - for some reason I end up making cauliflower when everything else on the plate is somewhat lacking in color, like chicken in a creamy sauce or a side like risotto or rice. It's funny because I'm always concerned about color on a plate and making it appealing to the eye, but for some reason I haven't held to this when I'm making cauliflower. Until now. I bought a head of cauliflower and was determined to make a pretty plate with it. 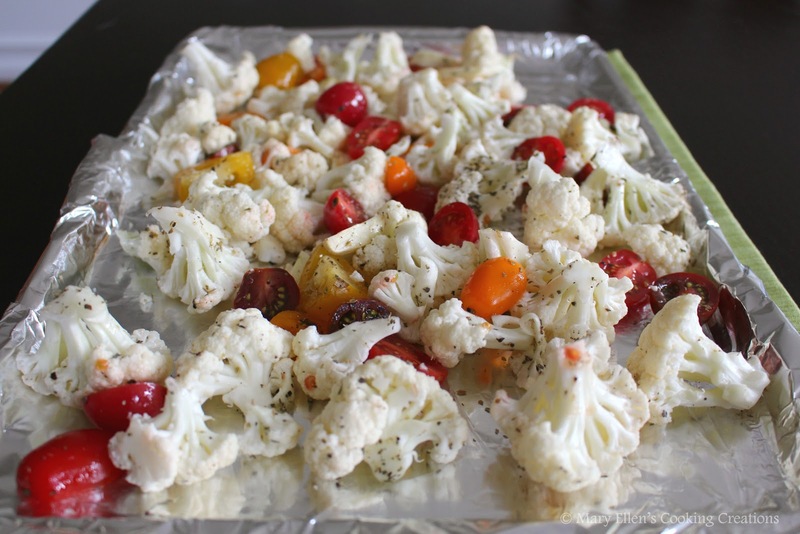 I tossed the cauliflower with multicolored tomatoes, garlic cloves, oil, and some dried herbs and then poured them onto a cookie sheet to roast. 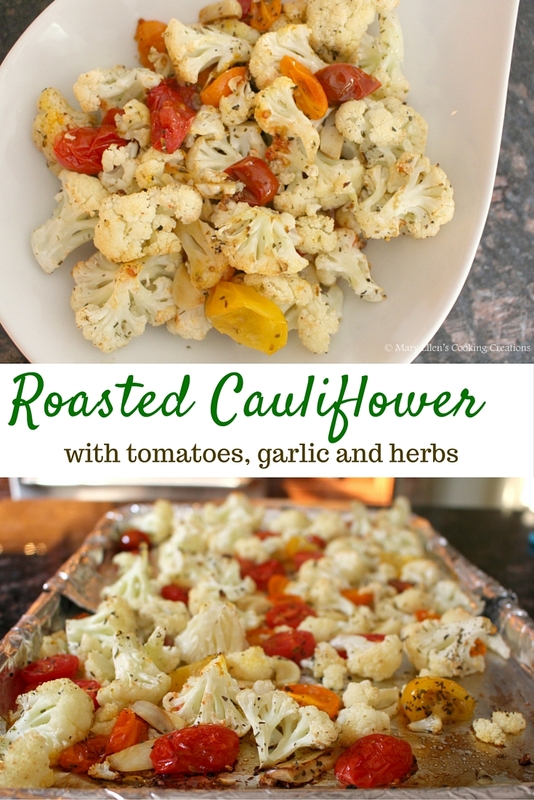 After 20 minutes the cauliflower was perfectly roasted, the garlic was soft and sweet, and the tomatoes had melted, their juices mixing with the oil to help coat everything. 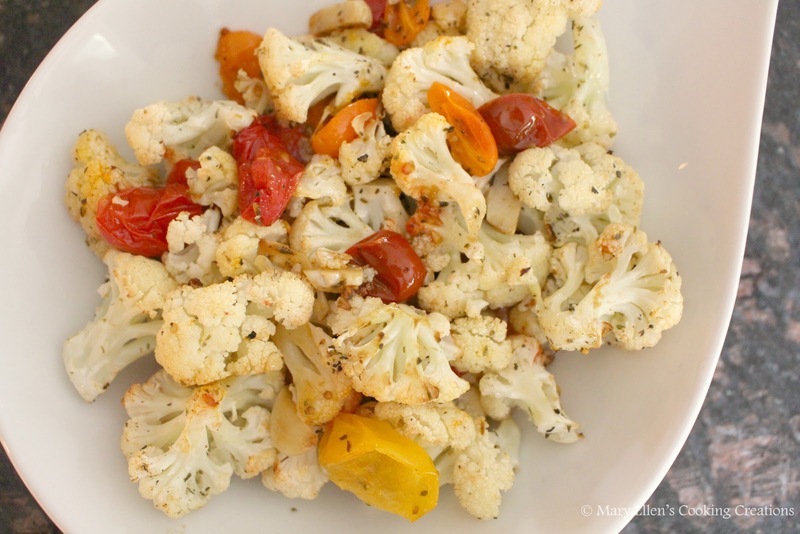 We loved this as a side to our grilled chicken, and then the next day as a side to grilled burgers. 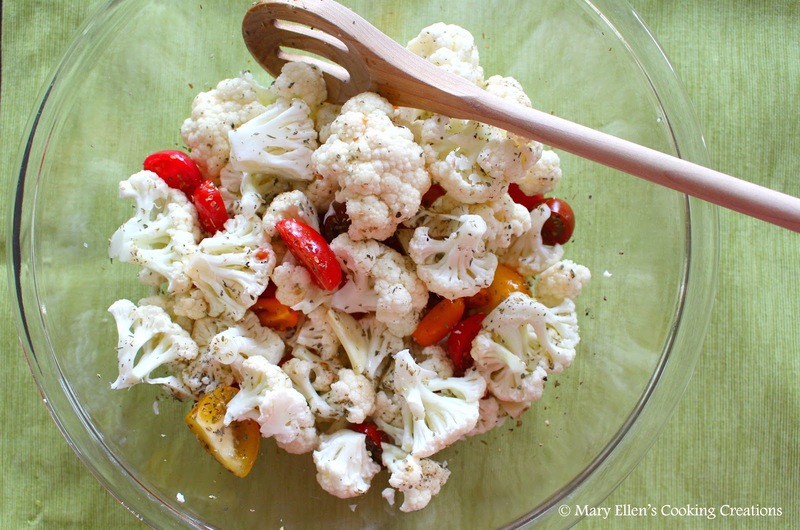 Place the cauliflower, tomatoes and garlic in a large bowl. Drizzle in the oil, salt, pepper, and herbs. Toss everything with a wooden spoon to coat.